Rags and Ribbons is one of the classic oriented, 90’s influenced collective works sort of groups that shows greater group orientation and organization of sound than a a 9 piece metal band. It’s actually almost unfathomable to know that this is a the work of just three people. Three amazing people, sure, but the amount of sound crammed into one album is absolutely phenomenal. The Glass Masses is an album that could very well make your heart bleed with envious emotions. The ability to convey such amazing feelings and introspective ideals in anyway (a song in this case) is a trait that everyone should, and probably does, wish they could obtain but probably never will. But, not these guys. They have it. No track proves this solid theory that their beloved single, and kick off track to the album, “Even Matter”. The vocals are feel like Elton John on LSD, the keyboards flare in a Narnia like fashion, and the emotional tidal waves of trying to differentiate the dream world from the modern existence that can sometimes be far less entertaining. But, as amazing as this singular track is, it is the entire album that should be praised. Although, personal emphasis seems to be on the entirely eccentric cut “The Minds” is most definitely a stand out as well. 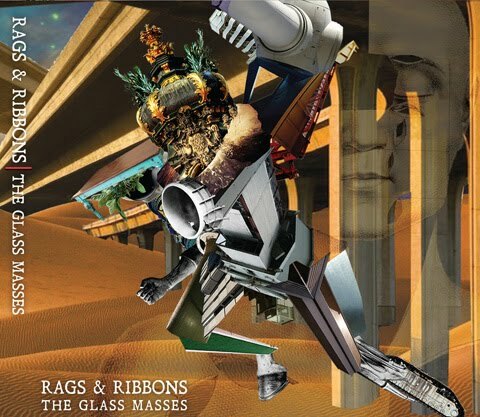 Needless to say, for you will hear it when you buy this album immediately after reading this, but Rags and Ribbons is one of the most interesting groups out there today, and The Glass Masses is definitely a wonderful piece of work to kick off the new year. Learn more about Rags and Ribbons on their Facebook Page. 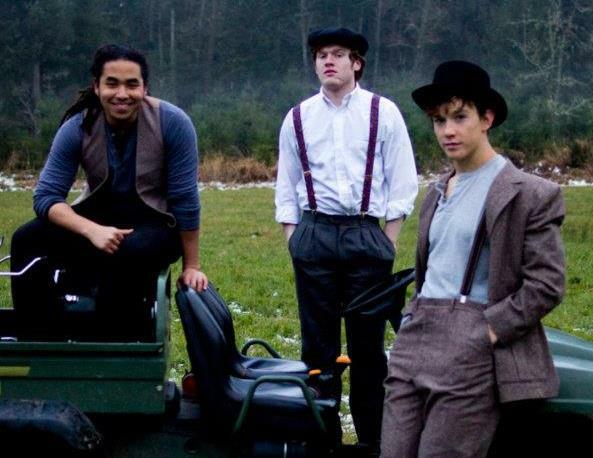 Also check out their Bandcamp page for even more wonderful tunes.